Not all angels are created equal. As you evaluate potential investors, you should carefully screen them for the ideal collection of qualities that will help your business succeed. The greatest entrepreneurs don't beg for money, they are very selective of the investors they choose to be a part of their company. Below are the top ten qualities to seek in an angel investor. 1. A genuine interest in helping you succeed. Many of the best angels are also great mentors. They are most helpful to startup owners when they are highly motivated and interested in helping your startup prosper. Look for enthusiastic investors who are eager to learn about and engage in your goals and mission. 2. A wealth of industry experience. Ideally, your angel is a business owner who started his or her own company from scratch and transformed it into a successful enterprise. It is also smart to choose investors with experience in your field of business. An angel with an outstanding reputation can have a dramatic impact on your startup’s success. This is especially the case if your investor has a track record of successful investments and is heavily involved in helping you make valuable connections. 4. Plenty of cash on hand. While cash alone does not qualify a person to be an angel, it is very handy to have a group of investors with enough "dry powder" (spare cash) to invest in future rounds. Your investors should also have enough money to help you fund your startup without sweating the money. Ie. if losing the invested capital is going to impact at all on their future, then they should probably be investing that money in a less risky asset class. 5. The ability to work well with others. An angel should be able to interact professionally with you, your business partners, and any other key stakeholders involved in your startup. Avoid choosing investors who exhibit volatility or controlling behaviors, as they could do more harm than good for your startup. It may seem counterintuitive, but the most effective angels are often those who have faced challenges and adversity and survived. Angel investors who are battle-tested often have superb problem-solving skills and can help you overcome barriers to success. This adversity may have been faced in their previous company or investee companies. It's worth asking how they handle hardship, how they have helped in the past and how they could help you. 7. A realistic set of expectations. Startups can be unpredictable, especially in the first few years. Avoid accepting the help of angels who outline demands and expectations that are virtually impossible to meet. Investors who demonstrate reasonable flexibility and realistic expectations around reporting, communication and relationships are better choices. 8. The wisdom to fill your knowledge gaps. Many entrepreneurs do not possess a rich working knowledge of every aspect of their respective industries. Great angels will bring a wealth of industry wisdom from first-hand experience, including helping a startup owner find the best distributors and customers. 9. Success across geographical borders. When your startup is in the infancy stage, expansion into emerging markets is probably low on your list of priorities. However, with continued success, you may wish to grow your business geographically. Investors who have spearheaded a national or global expansion can help you lay the formative seeds for international success. Life at a startup is filled with exhilarating accomplishments, sleepless nights and periodic disappointments. An angel should help you celebrate the exciting milestones while modeling the resiliency that you need to carry on with business in the face of challenges. In addition to seeking the qualities above in an angel, there are also red flags that can signal that they may not be the best fit for your startup. Below are five traits that should cause you to think twice before enlisting the support of an angel investor. 1. An overly controlling approach. Beware of the angel who wants to dictate every move you make as a business owner. An investor should be supportive without trying to take over your business. 2. A poor industry reputation. Whether an investor’s bad reputation stems from treating previous founders badly or simply rubbing people up the wrong way, you should steer clear of investors with a tarnished reputation. Their unfavorable reputation could rub off on your brand and products and you are likely to experience their true colours at some point in the future. 3. Complete disinterest in your business or goals. An angel who is apathetic about your startup’s mission will likely be just as disinterested in providing support and guidance when you need it most. Stay away from indifferent investors that take no personal interest in the WHY you started the company. 4. A total lack of expertise in your industry. A lack of industry expertise is often a shortcoming because you may find yourself spending countless hours explaining concepts to an investor who has capital but who lacks an understanding of the how and why certain decisions are made. The time that you spend educating investors is time that you are unable to spend building your business. 5. A pattern of unstable relationships with business partners. The tendency to have volatile relationships with previous business partners is a huge red flag. While isolated personality conflicts are to be expected, you should avoid investors who seem to clash or have burned relationships with previous business partners. Clearly, angel investors have the power to help your startup thrive in an increasingly competitive marketplace. As battle-tested business champions, they can provide you with more than capital by filling your knowledge gaps, lending their advice and building your confidence, brand and company. 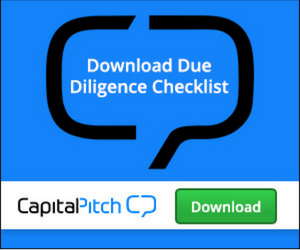 By using discretion when choosing an angel investor, you will optimize your startup’s potential for success. An Australian perspective on startup investing – through the eyes of leading local VC and private investors – hosted by CapitalPitch Co-founders, Jeremy Liddle and Emlyn Scott.